When it comes to ministry with children, the tangible trumps the theoretical. For instance, there’s a reason we love to teach the Christmas story through pageants. Once a child has been a shepherd and worn that dish towel on his or her head or donned a golden-tinseled angelic halo, they have entered the story in a magical, unforgettable way. 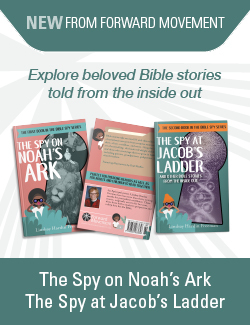 The story of Jesus’ birth becomes the child’s story not in theory but in actuality. Through such tangible encounters, Christian identity is encouraged and strengthened. Similarly, it’s one thing to talk about the virtues of saintly living and another thing altogether to encounter saintliness in the fellow human beings we know as saints. You can talk to a child about loyalty and prayerfulness and self-sacrifice and surely some of this will stick. But to meet St. Francis and hear the story of his selling everything he owned to help the poor is much more concrete. This is why Lent Madness works so well with children. Wait, you’ve never heard of Lent Madness?! You didn’t realize you can log onto www.lentmadness.org during Lent and learn about and then vote for your favorite saint? Or perhaps you were aware of the Saintly Smackdown, in which 32 saints are placed into a single-elimination tournament bracket, but never thought about it as a teaching tool for children. I’ve heard of families that gather around the computer at the same time each day to read about the day’s two saints, debate their relative merits, and cast their vote. Participation in Lent Madness can be turned into a family ritual, like lighting the Advent Wreath at dinnertime or saying bedtime prayers together. Many parents, after reading about the saints and Googling some images, will allow their children to cast the day’s vote. It’s always moving to hear why a child chose a particular saint over another. You never quite know what will resonate for a child in a particular saint’s story. It may be they’re drawn to the kind-heartedness of Margaret of Scotland or the musical gifts of Isaac Watts or the poetry of John the Evangelist or the cats of Gertrude of Nivelles or the name of Phocas the Gardener. These are just a few of the saints we’ll meet in this year’s edition of Lent Madness. Many parishes use Lent Madness as a seasonal, congregation-wide devotion. I love hearing stories of children engaging with their peers about saints when it’s used in Sunday School (Sunday School teachers take note: saintly art projects are always popular!). And while we all interact with saints in unique ways at different points in our lives, hearing children debate with adults at coffee over their favorite saints is yet another way to build intergenerational community. In the end, finding ways to enflesh the love of Jesus and make it known to children in real ways, is one of our highest callings. Few things make a more tangible Christian witness than meeting and learning about saints in a fun, engaging way. That’s ultimately what Lent Madness is all about, regardless of age. I hope you and your children will join us on this year’s Lenten journey! NOTE: Participating in Lent Madness is completely free. If you would like to fully jump in, you can order The Saintly Scorecard: The Definitive Guide to Lent Madness 2018. You’ll find first round bios for all 32 saints, a full-color fold-our bracket, fun Pocket Lent cards, and tips on using Lent Madness at home or in your parish. 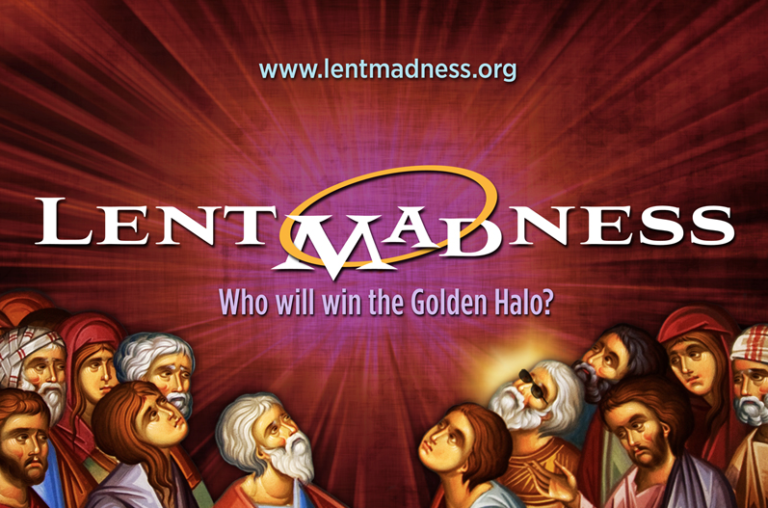 Do you play Lent Madness? With kids?